Summary: Natalya knows a secret. Review: Here’s the thing with me and literature set in Russia: I will eat it up. I am so excited for Gregory Maguire’s Egg and Spoon I could spit. It is with this that one must realize, no matter what Tsarina was going to be a natural fit, the exception? This novel more than did justice to what, in my opinion, is one of the most interesting countries in Eastern Europe. I loved the effortlessness of Patrick’s writing style, how she put me in Russia without making it feel stupidly Russian (you know – we were all wearing fur hats, and boots with curled toes, it never stops snowing, etc.) I loved the setting, how beautifully it was described, and I loved, more than anything, her characters. I’m not one who can really get behind a character like Natalya, and the first few chapters had me groaning at how utterly childish she seemed, how nothing would or could be better than how it was, slowly I was won over, but it wasn’t easy for me to see things from her perspective. It was much easier to see things from Leo’s perspective, not that I support his beliefs, but that I get where he’s coming from. I understand why he sees Emilia and Natalya as disgusting, because in some ways they are. Natalya’s blind faith in Alexi’s family was unnerving, but not unwarranted. There were a few moments of, “oh, I saw that coming” but the thing about this novel: after about fifty pages it starts moving at a breakneck speed. I love novels like that, where something is always happening, there’s always another bend in the road, and you have to keep up to know what’s going to happen next. Reading other reviews on goodreads, I can understand their annoyance with the ending. I too was slightly annoyed with the abruptness of it. I felt like it was the editor’s fault (love the editor until you have to blame them for something. Editor: I blame you – why did you not demand a better ending? I mean seriously, what the WHAT?) It was kind of a cliffhanger, I mean WILL THERE BE A SEQUEL? BECAUSE I REALLY WANT A SEQUEL! I want you to fix that cliffhanger into something real, yo! In the end this book made me feel something, which is really the point of a book if you ask me, and it was good. Really good. 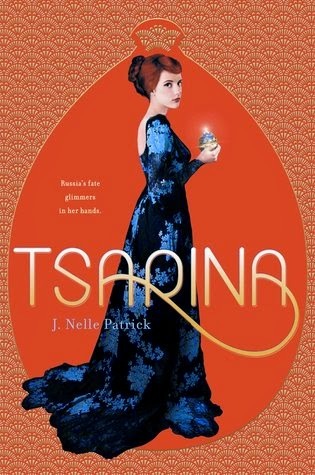 If you’re looking for a historical fiction set in Russia that is heavy on the supernatural and light on the romance, I recommend this.